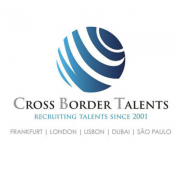 At the moment we are looking for French speakers, to fill several vacancies in a multinational Contact Center Company in Athens. To handle questions and problems via email that focus on all aspects of the customer experience in their program. To maintain solid customer relationships by handling their questions and concerns with speed and professionalism. To perform data entry and uses software programs. To have research skills in order to analyze problems and then drive email to resolution. Receiving inquiries through mostly emails and chatting applications (occasionally inbound calls as well) within a busy customer service team. Acting as the first point of contact for all English speaking clients. Pro-actively responding to customer queries in English via emails and chat. Data inputting and information management. Liaising with the team leader to resolve any customer complaints/issues. This is a project based environment and there are real opportunities to develop within the role and also within the company itself. have a Company looking for accommodation according to your expectations.